S100B is a calcium binding protein mainly produced by glial cells. Previous studies have shown elevated levels of S100B in patients with schizophrenia. We measured S100B levels in fasting plasma of 39 patients with schizophrenia and 19 adult healthy controls. We used linear regression to compare S100B between patients and controls. In patients only, we also investigated the relationship between S100B levels and psychotic symptoms (assessed by the Positive and Negative Syndrome Scale), and cognitive function (assessed by the NIH Toolbox Cognition Battery), respectively by calculating Pearson’s correlation coefficients. Mean plasma S100B was significantly higher in the patient group than in the control group. 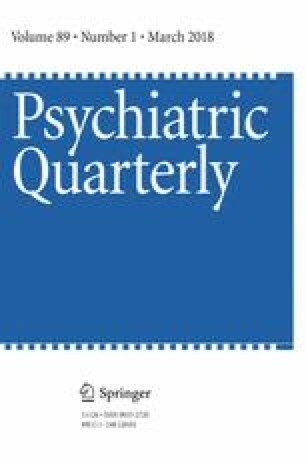 There were no significant correlations between plasma S100B and psychotic symptoms or cognition. We wish to thank all persons who kindly participated in the study. No source of funding was available for this study. Dr. Jair C. Soares has received grant/research support from BMS, Forest, Merck, Elan, and J&J, support as consultant at Astellas, and support to Speakers Bureau at Pfizer and Abbott. All other authors declare that they have no conflicts of interest. All procedures were in accordance with the ethical standards of the institutional and/or national research committee and with the 1964 Helsinki declaration and its later amendments or comparable ethical standards. Informed consent was obtained from all individual participants included in the study.